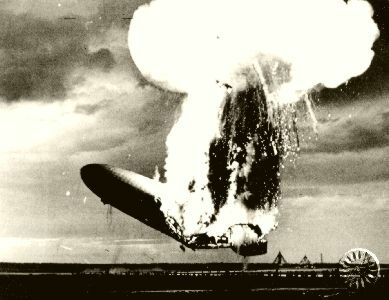 While most people have heard of the ill-fated dirigible Hindenburg, few know of her sea-going predecessor, a World War I Imperial German Navy battlecruiser of the Derfflinger class. 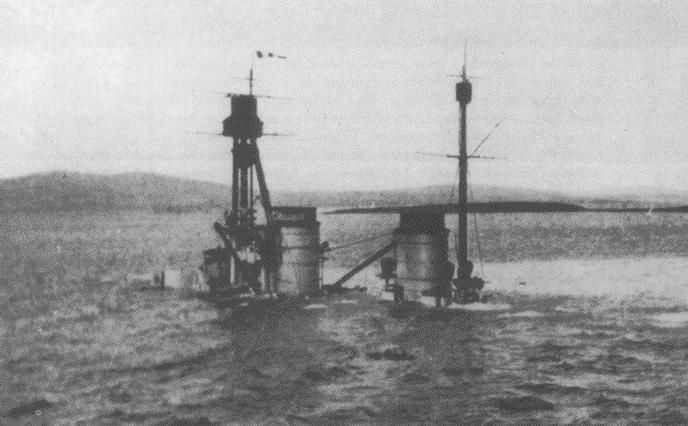 Armed with eight 12"/L50 caliber guns in superimposed dual turrets, the Derfflingers were outgunned by their British contemporaries but made up for it in rate of fire and armor protection, and in combat at Jutland the Derfflinger was credited with assisting in the destruction of the British battlecruisers Queen Mary and Invincible. 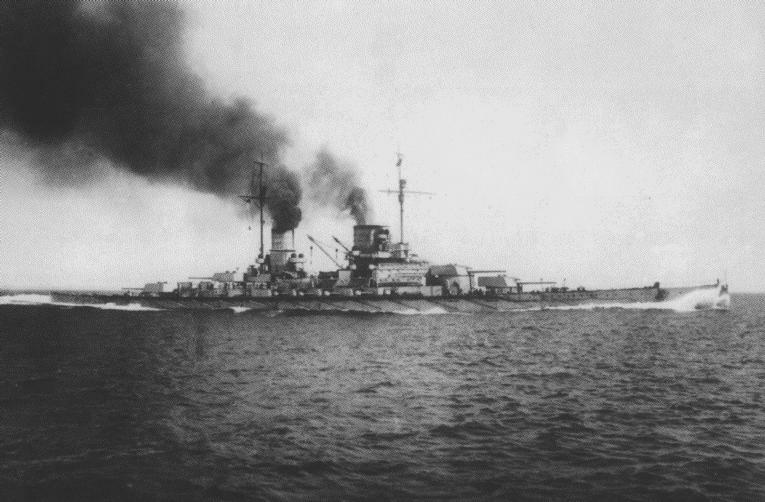 The last of three ships in the class, the SMS Hindenburg was built to a slightly different design and was not completed until May 1917, too late to see combat at Jutland. 700 feet (212.4m) in length and displacing 31,500 tons, she was approximately eight feet longer and 300 tons heavier than the Derfflinger (210m). 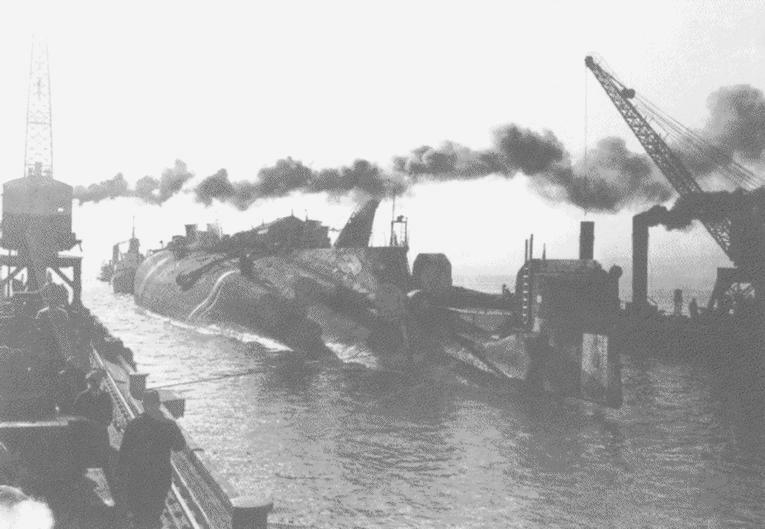 The Derfflinger and Hindenburg (the middle ship of the class, Lutzow, was scuttled due to damage sustained at Jutland) were interred with most of the Imperial German fleet at Scapa Flow in Scotland at the end of the war, and both were scuttled there by their crews in June, 1919. This is only my second time building a R/C warship. 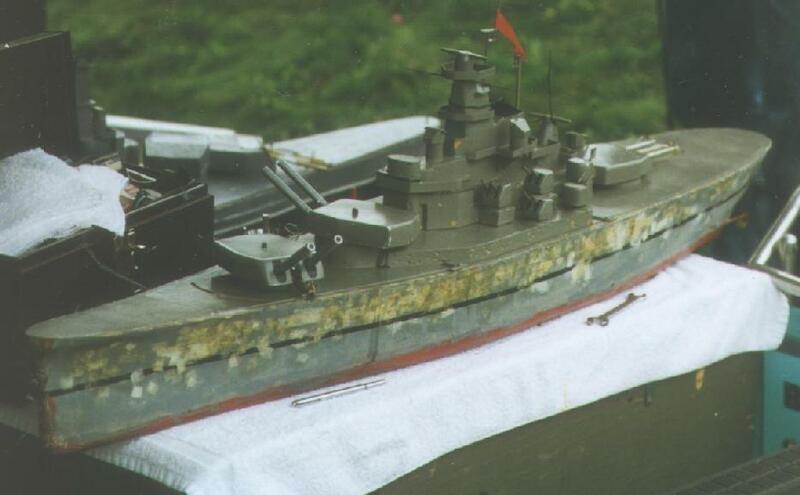 The hull of my first ship, an American South Dakota class battleship, had been built by Will Montgomery of Maryland over five years ago out of wood and already had the subdeck, propeller stuffing tubes and rudder tubes installed. For this new project I was going to basically start from scratch, though I would have the luxury of starting with a 1/144 scale (1" = 12') fiberglass hull made by SWAMPWORKS Manufacturing of Springfield, MO. and plans from George Geoff, who specializes in plans in 1/144 scale. I decided to document my progress and methods to help other beginners who may want to build a warship but don't know exactly how to do so. Though I'll be applying these methods to a Derfflinger class ship, they will work with any fiberglass hull. The construction will be according to the rules of the International Radio Warship Combat Club (IR/CWCC), other R/C combat formats may have different construction requirements. Under IR/CWCC rules the Derfflinger is a Class 4 ship with 4.5 battle units. A battle unit is either a BB cannon with a 50 round magazine or a bilge pump with a 1/8" ID (inside diameter) discharge port. I can use the extra 1/2 unit as either an additional 25 BB's for one gun or an additional pump with only a 3/32" ID discharge port. I chose the extra 25 rounds. First, the tools we will be using. A good belt sander is a must, as is an X-Acto knife and spare #11 blades, various files and chisels, sandpaper, a jig or band saw, a drill with various bits from 3/64" to 1/2", 24 hour two-part epoxy (such as Gougueon's West System), 6 or 15 minute two-part epoxy resin, cyanoacrylic glue (CA or "superglue"), and a propane torch with flux and lead-free solder. In the "nice to have" category are a lathe, a small electric tubing cutter, a Dremel tool with cutting wheels, and I found a band saw to be very helpful for cutting wood parts out for the motor mounts, sub-deck, decks and superstructure. The raw materials you will need include 1/4" regular (3-ply) plywood, 1/8" aircraft plywood (5 ply), and 1/32" balsa sheets as well as "OO" thickness or thinner silkspan for the penetrable side sheeting. For the propeller and rudder shafts you will need 1/8" brass rod, while for their stuffing tubes we'll use 1/8", 5/32", 3/16", 7/32", and 1/4" ID brass tubing. First thing to do is to prepare the hull and subdeck.